Welcome one and all to our latest updates on everything Charitable Trust! The holidays are the perfect time to sit back, relax and…who are we kidding? There is no relaxing for us when the final school bell rings and the October holidays were no exception! Our Soccer Camp saw young ambitious footballers join us for five days of fitness, games and of course a trip to Firhill for thrills. The temperature might have been quite nippy but we were fortunate enough to be blessed with sunshine as our kids learned new skills, played short games and of course, most importantly, had fun! Interested in sending someone you know to our top notch camps? Then be sure to go onto our website and keep up to date with our latest openings for our Soccer Easter Camps! Further into the North of Glasgow we held our Holiday Camp at Glasgow Club Milton, where kids enjoyed hours of football, dodgeball, indoor games, movies, arts and crafts and so much more! Not to mention a tasty nutritious meal at lunch time. The week saw us host over 80 children to ensure that Mum and Dad could take a wee break. You’re welcome! Mental Health and Well-being Champions! A huge congratulations goes out to our homeless and mental health footballers who participated in the SPFL Mental Health and Well-Being League! Even more so to the Thistle Trust who brought home the League Cup and our Red team who were crowned League Champions! 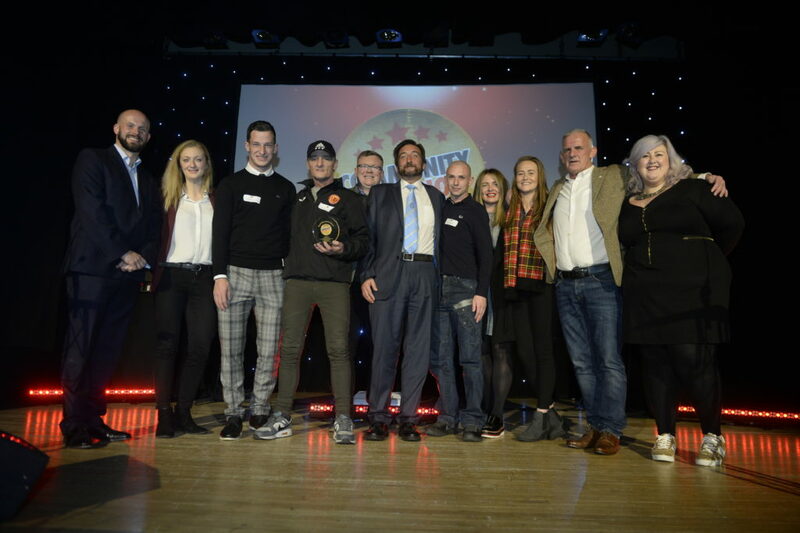 You can see our smashing winners and teams presented with their trophy by our own Alan Rough at Half Time on the 8th of December during the Partick Thistle vs Dunfermline Athletic game. This good news story just scratches the surface of what can be achieved through the power of football. Which is exactly why we set up a consultation day with our players to discuss how we can better improve our projects with them in mind. We welcomed 12 members of staff, coaches and our players to the Energy Check Stadium where after numerous cups of tea, slices of pizza and claps for Blue the dog, (the teams mascot), we brainstormed ways to make our project even more successful! Watch this space readers! We are just DAYS away from the Glasgow Community Champion Awards 2018 Grand Final – WOOHOO! This coming Tuesday we’ll find out if we are Sports Awards Champions at the City Chambers for our Homeless and Mental Health projects. Keep your eyes peeled for live updates on the 27th! No-one deserves to spend Christmas on their tod! 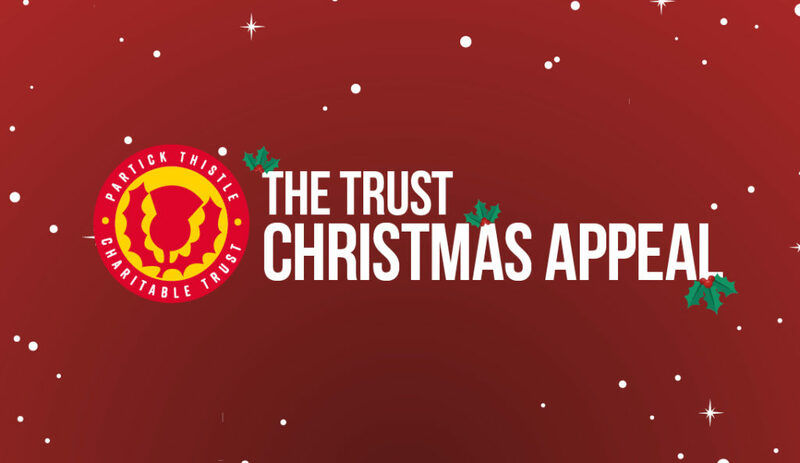 Which is exactly why we are so proud to announce the annual return of the Partick Thistle Charitable Trust Christmas Appeal! The aim? To ensure that the elderly people in our community, who would otherwise be spending Christmas alone, can enjoy the most special day of the year at The Energy Check Stadium. The good feelings keep on coming, as we are so pleased to announce that this year we will also be inviting families living in hardship to spread even more festive joy! Keen to support us? OF COURSE YOU ARE! In order to make this a memorable day for all who come along … WE NEED YOUR HELP! day one to remember! To do so we need help with some small donations and volunteers.